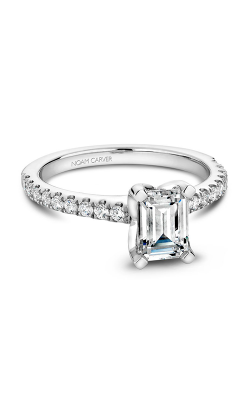 Emerald cut rings are chic, elegant, and timeless. Parallel rectangular facets showcase the diamond's spectacular clarity for a radiant appearance. 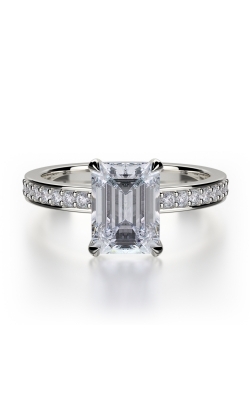 A solitaire emerald emphasizes clean lines while side stones, usually baguettes, maximize the sparkle of the ring. Emeralds are an excellent choice for the bride who dares to be different; only 3% of the world's diamonds are cut this way. 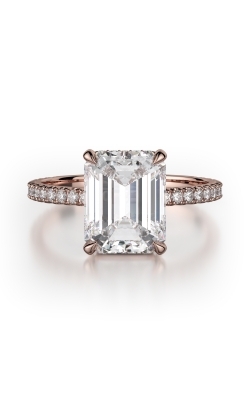 Contrary to popular belief, a specially cut diamond can actually be very budget-friendly. The top surface of an emerald cut diamond looks larger than that of a round cut diamond of the same carat weight, so buyers can find a wow-factor emerald for a lower price. 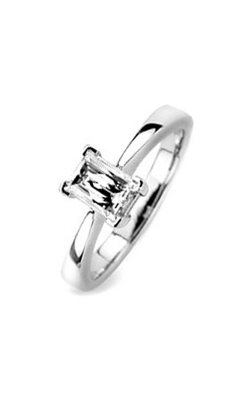 MICHAEL M is a renowned luxury jewelry company based in Los-Angeles. Their custom metal alloys prevent deterioration, and under-stone polishing produces maximum shine. The Crown collection uses a diadem of diamonds around the base of the setting to create a sparkling base for the crown jewel of the ring. 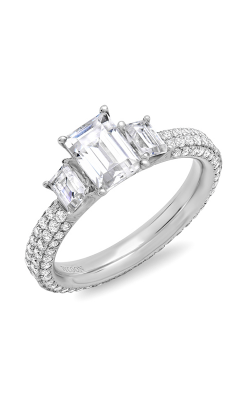 In the Bold collection, emerald cut rings are adorned by art deco halos and intricate diamond details under the center setting. 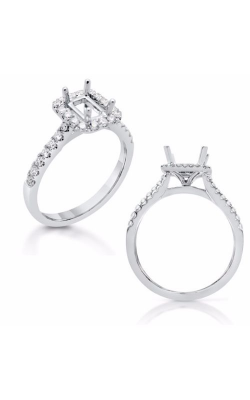 The Trinity collection is defined by diamond triads. Tapered baguettes provide a traditional accent to the central emerald in one style. In another, similarly-sized emeralds update the classic three-stone silhouette. 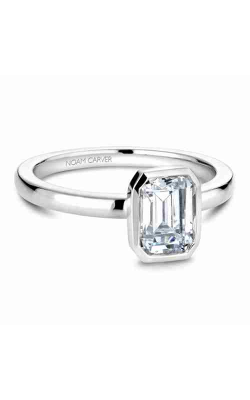 Canadian designer Noam Carver handcrafts exquisite pieces that age gracefully despite their contemporary details. 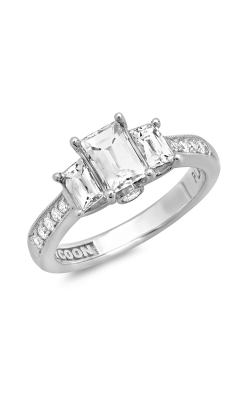 He is inspired by instinct and risk, two sentiments that also motivate the passionate, unending love in a marriage. 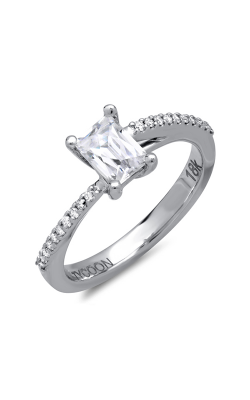 The Classic collection is simultaneously timeless and trendy. 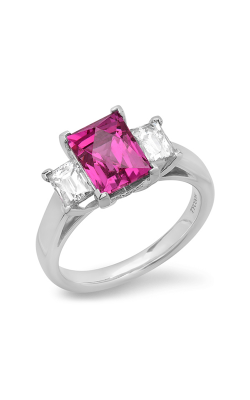 Open shanks, halos, and triple pavé bands keep up with current styles without pushing too far into modern territory. Alternatively, the Modern line experiments with bezel settings and bands crafted from diamond-filled squares. 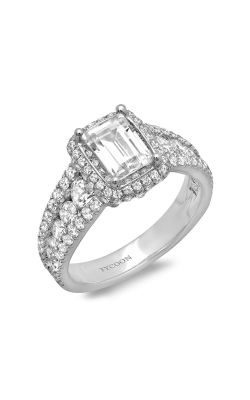 The Vintage collection pays homage to the past with Old World scrolls, strong art deco lines, and sweet milgrain details on its emerald cut rings. 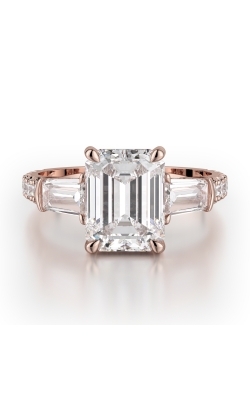 Why Shop for Emerald Cut Engagement Rings at MJ Christensen Diamonds? MJ Christensen Diamonds is a fine jewelry retailer and longtime member of the American Gemological Society. We have provided Las Vegas, NV with designer engagement rings, wedding bands, timepieces, and fine fashion jewelry for over 78 years. The expert jewelers at our Boca Park Shopping Center showroom extend outstanding repair and appraisal services. We also offer 0% financing options and a 100% refund policy. For more information regarding our products, services, or hours, please visit us in person or browse our website. 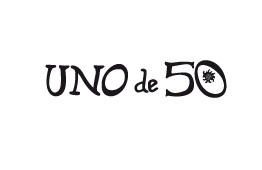 You may also call us at (702) 952-2300.